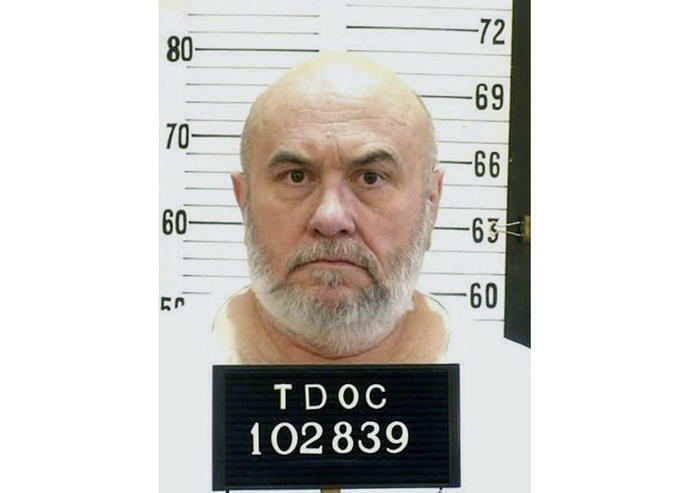 NASHVILLE, Tenn. (AP) - The U.S. Supreme Court rejected two last-ditch efforts to save the life of Tennessee death row inmate Edmund Zagorski, apparently clearing the way for his execution despite a delay caused by legal wrangling. The court rejected a challenge of Tennessee's lethal injection protocol and lifted a stay of execution ordered by a lower court because of inadequate counsel. The court issued the rulings Thursday night around the time Zagorski's execution had been scheduled. But earlier in the day, Gov. Bill Haslam granted a 10-day reprieve to give the state time to prepare for an execution by electric chair. It was not immediately clear what options Zagorski's attorneys have in the wake of the decisions by the court and the governor. "We are reviewing the court's opinion and will assess what options we have," his lawyer, Kelley Henry, wrote in an email. Supreme Court Justices Sonia Sotomayor and Stephen Breyer dissented from the majority's decision not to stay the execution, with Sotomayor writing that those sentenced to die "are not entitled to pleasant deaths under the Eighth Amendment, but they are entitled to humane deaths. "The longer we stand silent amid growing evidence of inhumanity in execution methods like Tennessee's, the longer we extend our own complicity in state-sponsored brutality." However, the state denied his request, arguing Zagorski waited too long to ask for the electric chair. U.S. District Judge Aleta Trauger disagreed with that decision and barred the state's lethal injection method so both Zagorski's request could be honored and more time would be allowed to review the state's lethal cocktail. "I take seriously the responsibility imposed upon the Tennessee Department of Correction and me by law," Haslam said in a statement. "And given the federal court's decision to honor Zagorski's last-minute decision to choose electrocution as the method of execution, this brief reprieve will give all involved the time necessary to carry out the sentence in an orderly and careful manner." Shortly after the Republican governor's announcement, the Department of Correction said it would return Zagorski to death row after moving him to a "death watch" cell earlier this week. The Republican governor had said he wouldn't intervene in Zagorski's case. The temporary reprieve will be in effect until Oct. 21. It's still unknown when Zagorski's new execution date will be set. "Tennessee's death penalty statute makes it clear that Mr. Zagorski has the right to choose execution by electrocution," Henry said. "While being burned alive and mutilated via electricity is not a good death, Mr. Zagorski knows that death by electric chair will be much quicker than lethal injection using midazolam, a paralytic, and potassium chloride." He's been on death row for 34 years, the second longest in Tennessee. Zagorski's decision to ask for electrocution was based on evidence that Tennessee's lethal injection method would cause him 10 to 18 minutes of mental and physical anguish. He argues the electric chair will be quicker even if it means being set on fire.